Coffin Dodgers is a game that deserves to be a lot better than it is. The premise is delightful – senior citizens racing mobility scooters as they flee death! – but the lack of new ideas and poor implementation of those that are already established mean that this is probably a game best left to the retirement home. Related reading: Of course, for kart racing hijinks, you really can't look past Mario Kart. Clark's review of the Wii U Mario Kart release. Like I said, it’s a unique concept, and there’s a simple framing narrative that does just enough to justify what should be ridiculous antics. 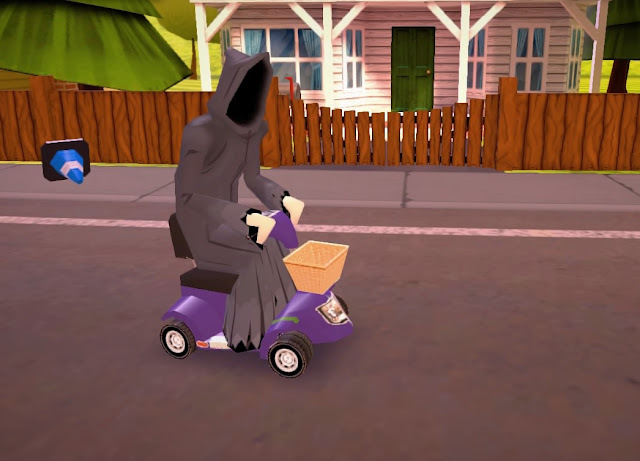 Basically, Death has come to Sunny Pines Retirement Village, and a group of residents band together and come up with the plan of challenging the reaper to a series of scooter races. If they win, he has to leave them alone. 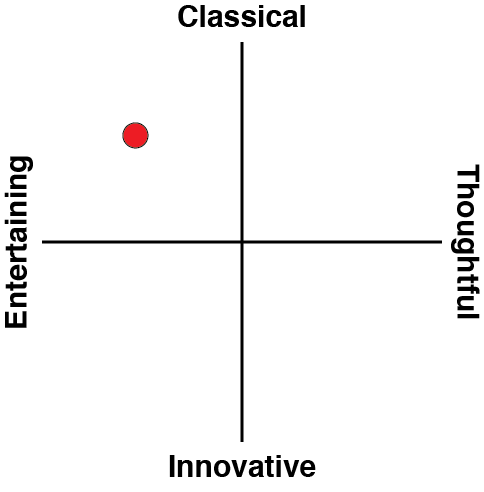 Only, there aren’t really any ridiculous antics to be had. 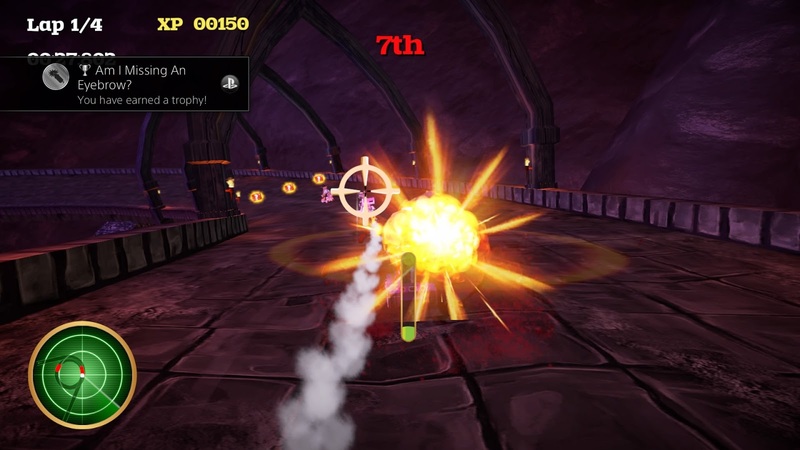 Weapons are easily the defining factor of any kart racer, but what you have in Coffin Dodgers are unexpectedly pedestrian: turbo boost, rockets, a can of oil to drop behind you, an EMP, a shield and a machine gun. Where are the zombie hands rising out the road and acting like a spike strip? 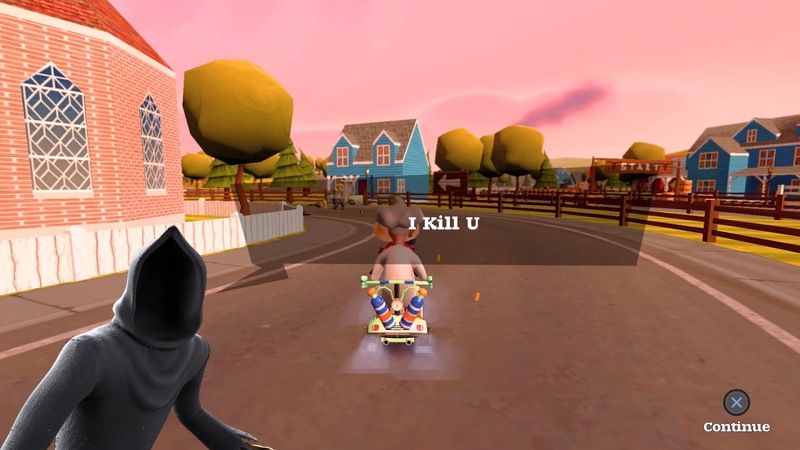 Where’s Death’s scythe whirling around your scooter to hurt anyone who gets too close? Where’s a cloud that forces anyone who drives past to just stop and yell at it for a while? Worse still, most of these weapons are painfully ineffectual. Rockets, gun, and EMP all require opponents to be fairly close, and the only racer I’m seemed able to catch with oil spills was myself. There are no big game changers, nothing to turn the tide of battle or even to help you claw your way up from second place. Whatever position you find yourself in after an initial melee off the start line, that’s where you can expect to stay. What’s frustrating about this is that Coffin Dodgers does have a rather neat comeback mechanic, but it’s only available to NPCs in Story Mode. At the end of each of the five three-race cups that make up this mode, the bottom one or two racers will be killed off, only to return for the next cup as a zombie – with increased speed and strength, to boot. The exception to this rule is you, the player; when you die, it’s game over, and you need to start that cup again if you want to continue. Why isn’t the zombie comeback something built into the core of the game? It could have been the thing that set Coffin Dodgers apart from other kart racers, but instead it’s limited to a way of adding a sense of progressive challenge that could better be served by better track design. The courses present are dreadfully samey, in terms of both visual design and layout quirks, and there’s nothing that even comes close to difficulty scaling. This problem with trying to mount a comeback is amplified by the fact that everyone drives the same scooter, so all racers have the same stats – your top speed is the same as that of the person in front of you, only they’re… well, in front of you. There’s a simple upgrade system that lets you improve your scooter’s speed, acceleration, and so on, but at least for the first run through Story Mode, everyone else’s ride seems to keep pace with yours in terms of upgrades, so nothing really changes. However, if you’re invested enough to go for a subsequent jaunt through Story Mode, you’ll be in a league of your own for most of the game. If upgrades seems slightly moot, they’re not nearly as bad as the experience system. Yes, these are two separate things in Coffin Dodgers: you upgrade your scooter with coins earned by racing, but you’ll also earn experience points. 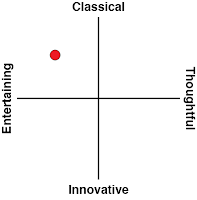 These do absolutely nothing, as far as I can tell. There’s certainly no overt way of spending them on anything, and if they make any sort of changes under the hood, they’re certainly not signposted in any way. All they are is a little number that goes up by an arbitrary amount after each race. Among other aimless inclusions are an “Open World” mode that simply lets you drive around a small town populated with nothing other than races you can just as easily pick from a menu. There’s also the Crazy Grandpa mode, a riff on Crazy Taxi in which you drive around collecting odd objects for no apparent reason, but the lack of interesting level design means that this gets boring very quickly. When I say the level design is dull, I really mean it. 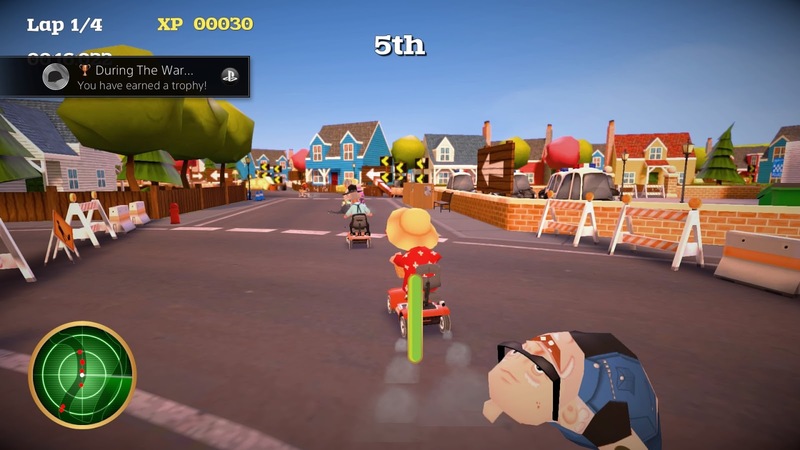 The whole game takes place in a little retirement village, and at least half of each course is spent driving through generic suburban streets. This is, again, a disappointing fall short of potential, because this kind of hyper-domestic setting could easily be turned into a great satire of suburban life. Coffin Dodgers dances around the edges of this idea to some extent with the inclusion of zombies and UFOs in some levels, but it all feels very scattershot. Despite all this, Coffin Dodgers is fun in its way, but it’s hard to recommend when there are so many other games out there that do what this one does, but far better. There are some great ideas at the core of this though, and it would have been nice to see how they shaped up with a bit more direction and some extra time in the oven.